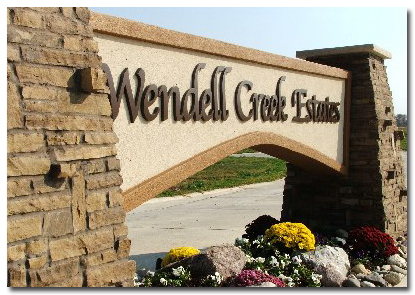 Wendell Creek Estates located near St. Jacob and Troy Illinois offers tranquil country living with distinctive custom designed new homes on large lots. Home sites provide quick access to major interstates and are located less than 30 minutes from downtown St. Louis. A great variety of recreation, shopping and services are located just minutes away. This home community is an ideal choice for families and active adults. Contact Chris Geiler (618) 779-6312 or Kyle Hawkins (618) 779-4030 for additional information or to make an appointment to discuss a home lot you are interested in.